She was born as Marie-Jeanne Bécu on 19 August 1743 , illegitimate daughter of a simple rural woman named Anne Bécu. Her father probably was Jean Baptiste Gormand de Vaubernier, a monk with whom Anne had an affair. After a sheltered childhood in a nunnery, she had various jobs as hair dresser and saleswoman, but soon her remarkable beauty attracts the attention of Jean-baptiste du Barry, who owns several houses of ill repute. She starts working there. Naturally the count first teached her the tricks of the trade himself! During her work in one of these gambling houses Jeanne is noticed by the Chamberlain of Louis XV. He is eagerly looking for a new royal mistress for his King, who in a short time lost his both his beloved Madame de Pompadour and his son Louis, the dauphin of France. The kind is in need of distraction! Jeanne, however, is not eligible to officially take this position of mistress because she is not of noble descent. Jean-baptiste knows what to do and arranges a marriage between Jeanne and his own brother Guillaume, Count of Barry. They get married in 1768, and this is how Jeanne obtains the title of Comtesse du Barry. This new title made it possible for her to go to Versailles and mingle in Court circles. The King is very attracted to her as soon as he lays eyes on her. But even the love of the King is not enough to get her the official title and privileges of the maitresse-en-titre. The protocol demands more. 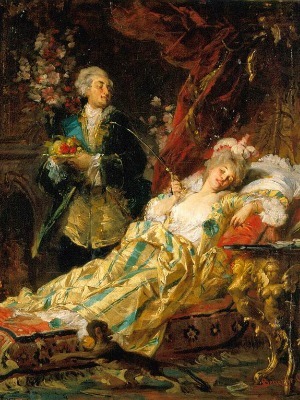 According to the court protocol of Versailles, it is required that Jeanne du Barry is officially introduced to the King by another noble person. And none of the nobles at Court want to degrade themselves by being associated with Jeanne who they think of as a whore. Eventually they find an impoverished Countess who wants to take the honours, after having received a large payment to pay off her gambling depths and the promise of a better room at Versailles (which means; closer to the King’s apartments). 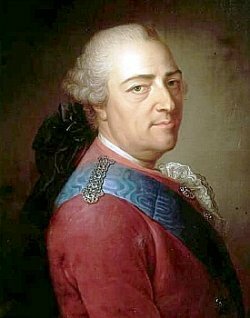 To show his gratitude towards Guillaume du Barry, King Louis XV gives him the Chateau Rieutort and makes him Duke of Roquelaure. The Chateau is now a charming B&B in Saint-Pargoire in the region Languedoc-Roussillon in France. 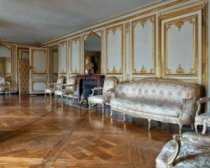 After the official introduction of Madame du Barry in 1769 she can finally take her place as official mistress and move to the the spacious living areas in the Palace of Versailles that come with this title. 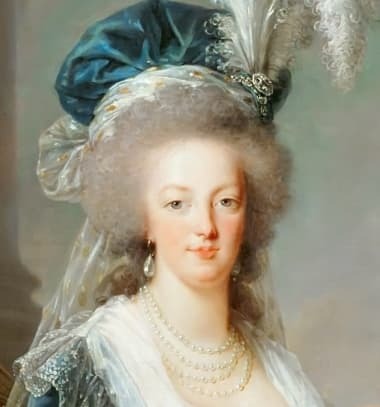 The Court had hated Madame de Pompadour, but Madame du Barry is even less popular. The members of the French aristocracy find her terribly vulgar and flat, and want nothing to do with her. Her biggest opponent is the dauphine Marie Antoinette, who refuses to speak to her. The court protocol prohibits Madame du Barry to say anything to someone who is higher in rank. She must wait until they address her before a conversation of any kind can start. 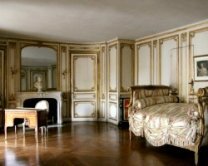 Only after continuing pressure of the King, Marie Antoinette’s grandfather by marriage, she yields and speaks to Jeanne. The famous and only words Marie Antoinette say to her are; "There are a lot of people at Versailles today" . 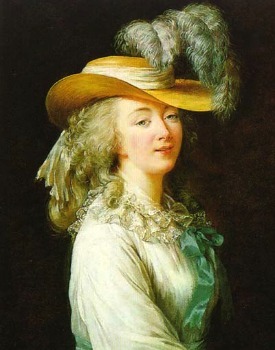 Madame du Barry is delighted, she finally belongs! The fact that the nobility does not accept her does not bother Jeanne, nor does it bother King Louis XV. He is crazy about her and gives her all kinds of gifts, among which the castle of Louvecienne,. Jeanne orders to build a luxury Pavilion in te garden there. The feasts that are kept here are famous and everyone wants to be there, in spite of their prejudice against Jeanne. Unlike her predecessor Madame de Pompadour, Jeanne has no political meaning at the time she is at court. Much of her time she spends in her country home in Lonveciennes, where she gets the reputation of generous patron in the arts. 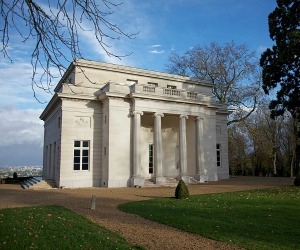 You can visit the Pavillion of Louvecienne on some special occasions, please visit the website for more details. The Chateau is not open to the public. 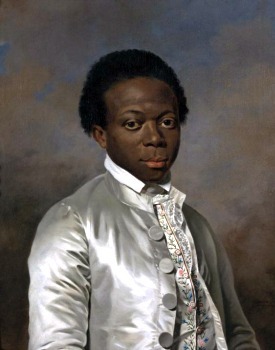 Another gift that King Louis gave to his mistress was Zamor, a slave servant that was taken from Bengali by slave traders when he was eleven years old. 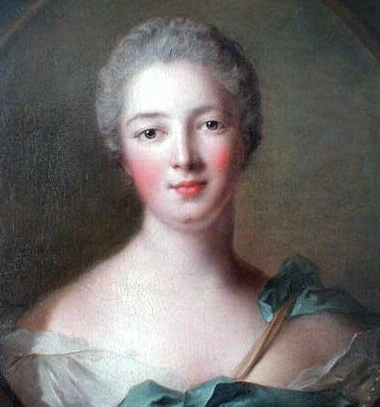 Madame du Barry started to care for the boy, christened him as Louis Benoit and paid for his education. She also dressed him up, spoiled him and showed him of to the other courtiers. This treatment ultimately led Zamor into Revolutionary politics, betraying his Mistress in the end. On 10 may 1774 Louis XV dies of smallpox and Countess du Barry must immediately leave the Court. After the accession to the throne of Louis XVI, she is banished to a nunnery. 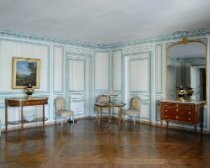 From 1776 until the French Revolution, however, she lives in her castle with the Duke of Brissac, her new lover. 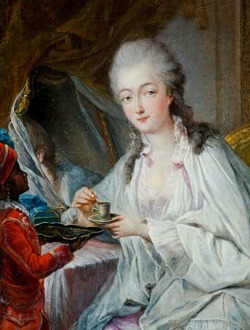 Here is a painting of Zamir serving Madame du Barry. Through her new friend the Duke of Brissac she is welcome again in the highest circles pretty soon. The beautiful life comes to an end again with the outbreak of the French revolution in 1792. Madame du Barry flees to England to get back her belongings that were stolen, but she is naive enough to go back to France. On 9 September 1792 the Duke of Brissac is killed by a peasant mob in Versailles. They throw his head into an open window, landing in the salon of Château de Louveciennes!. She writes unctuous letters to the new rulers, but this does not lead to the desired result. They still arrest her. An important witness during the trial of Madame du Barry is Zamor, her former servant, who now has joined the Jacobins. In an attempt to stretch her life she makes some revelations, including where she has hidden jewels in the park of Louvecienne. It does not save her. On 7 december 1793 she loses her head under the guillotine, just like her rival Marie Antoinette lost hers in October. At the end of their lives they are finally treated equally! Madame du Barry did not leave a political legacy, but she did leave another one: In the classical kitchen all preparations with cauliflower are called: Dubarry (Sometimes written as Du Barry). 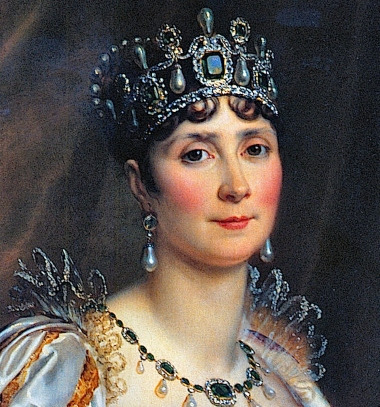 Cauliflower was introduced to the Royal French in the years of Madame du Barry. Louis XV tasted cauliflower with the typical white sauce and the festive cream soup, which he dedicated to his mistress Madame Dubarry. This caused Cauliflower soup to become known as Crème du Barry! Add oil and butter to pan and heat. Add leeks and cook on low for 10 minutes. Add cauliflower, potatoes and stock. Stir. Season with salt, pepper, garlic. Cover and bring to a boil. Then simmer for about 20 min or until cauliflower and potatoes are soft. Cool slightly. Puree in a blender or food processor until smooth. Careful! You might have to do that in batches. Return to pan and heat. Check for seasoning. You might have to add some chicken stock or milk to adjust consistency. Pour into soup bowls and garnish with chopped parsley.